Sales. When you see or hear that word, what comes to mind? Do you think of pushy salespeople that are only out to take your money? I think we’ve all been on the receiving end of a bad sales experience, but that is not the only way… or the best way… to sell. In fact, you already sell every single day. Do you have friends? Kids? Coworkers? A spouse? When you have conversations with them, do you ever try to help them by encouraging them to do something? This is selling. You are selling an idea. When you look at it that way, who comes to mind as being the best salespeople you know? For me, it’s my KIDS! They can come up with a reason or a justification for just about every proposal they send my way! I have to overcome objections with my kids, compromise to a point, listen and hear their pain points and address them. You are a MASTER salesperson. 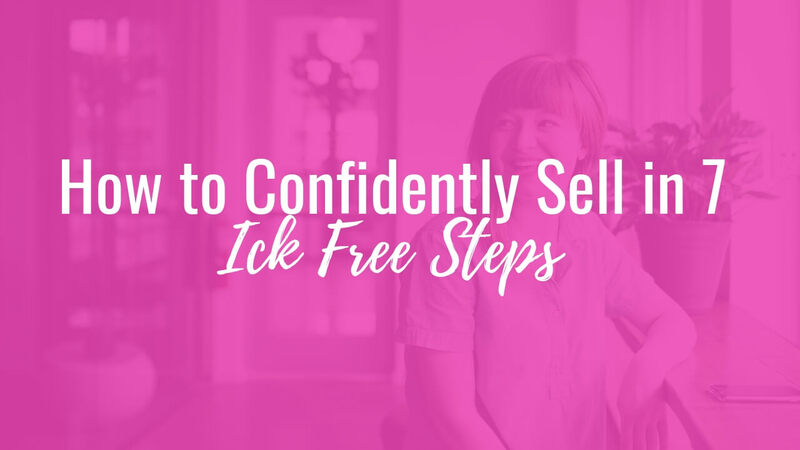 When it comes to selling for money however, there seems to be this ick factor that most of us have felt. This is likely due to those slimy salespeople that we do not want to be associated with. What if you were to think about it this way, money is just a piece of paper. It’s just paper. You’ve attached so many stories to these pieces of paper. When you think about it that way, it’s a little less intimidating, right? Keep in mind, that what you are truly providing to your potential clients is value. Every person or business that is hiring has a pain point looking to be solved. The value you provide is the ability to address and mitigate that pain point. In order for the person or business to obtain that value, they have to pay for it. Plain and simple. Now, let’s talk about how to go into these conversations confidently! Because confidence is the key! If you are not confident in yourself and your skills, then it is MUCH harder to close the deal. When you approach sales from a place of serving rather than profit, you can speak to your value in a much more organic way. I had a client recently that absolutely hated selling. She felt the ick factor to the bone. She did, however, love to serve. She hopped on the phone with a potential client that she had no intention of selling to. They were just discussing strategy and exchanging information. 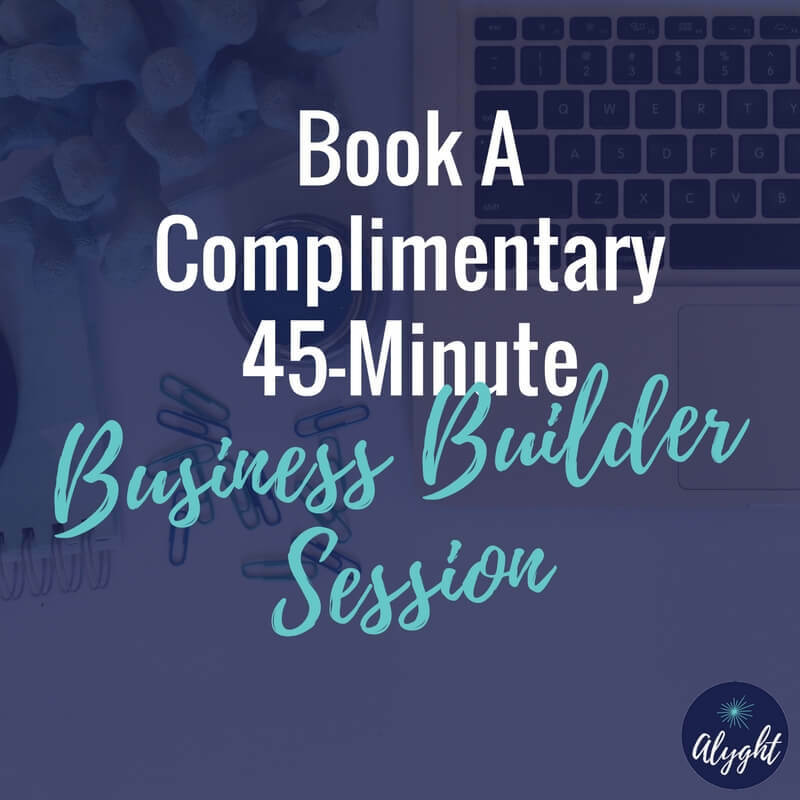 In the course of the conversation, my client began to see that she could really impact this person’s business and provide the service that she needed to move that business forward. My client pitched her services and closed the sale. She did not go into that conversation hoping to land a client, but the conversation turned and it just felt right. She later came back to me and said that at that moment she realized that selling does not have to be icky. People NEED you to work with them, they NEED your value. Let them know the value you provide and selling will stop feeling icky. Selling is a process. Too often people treat sales as a one-night stand. STOP! Sales should be a process of wooing rather than diving right into the end game. The first step is to get to know the other person. You know when you meet someone new and you just want to get to know them a little bit better? In the sales process, this would be your free content. You’re giving the other person a taste of what you have to offer, no commitment, no requirements, just a little something to get to know you. Once you’ve met and gotten a feel for each other, it’s time to see if the relationship should progress to an actual date! This step would be your opt-in. Something that provides great value, but doesn’t require too terribly much. At this point, you’re really starting to feel each other out. Now what you DON’T want to do is to rush into the proposal. You don’t want to go from your freebie or your opt-in, straight into your highest tiered service. You’re building or nurturing this relationship. You should have a clear plan and path that you have your clients move down, getting closer and closer to your highest tiered service. This process is going to look a little different in execution for everyone, but you want to build the relationship. As the client gets to know you through consistent communication and valuable offerings, they will be more likely to invest more heavily in your programs and services. Just make sure that you are providing them with high-quality content. This could come in the form of a sales funnel, completely personal touch, or a combination of the two. Being able to automate parts of the process while still being involved and providing a personal touch usually works best, but it is up to you. Just know that not everyone is going to enter your sales relationship at the same point, which is why a combination of automation and personal touch tend to work the best. This is HUGE! At this point, you have gone through all the work to build a relationship with your potential client, and now you get to actually talk to them. The first thing to do is to use a sales script. You don’t have to read it word for word, but having an outline of what you want to say and when will make the conversation flow much more smoothly. There is a tried and true order in which you should address certain topics. Make a list of questions you want to ask and things that you need to know. You should not be the one doing most of the talking in this conversation. You want to suss out exactly what they need and what they want. Once you have this figured out, you can easily address how you can best solve their pain points. The key here is to talk about the benefits that they will see when working with you. Don’t just talk about the logistics of what your package includes, talk about how those logistics will help your client to move forward and grow in their business. Speak to them in their language, provide a clear set of benefits that directly address their pain points, and your sales conversations will be much more likely to convert. When someone is concerned that they may miss out, they will be more likely to take action. Show the value of your limited offer and make sure that the urgency is real. Do not create a false sense of urgency or you will lose your audience’s trust. Be sure that you have a true end-date and allow for the fact that the door really will close. Some people are skeptical of the one-time offer and will let the time lapse just to see if it the offer really ends. Make sure that it does. Most objections stem from some sort of fear. The biggest objection that is typically raised is about money, but the objection is not usually about the money itself. Normally the objection stems from them not seeing the value in your offer. This means that you need to speak to them more about how your offer is going to benefit them. There are many different objections that can and will be cited, but if you can dig down and find the root of the objection, then you can address it. This is definitely something that you will want to practice. When you practice overcoming objections, you’ll be able to handle them without sounding pushy or desperate. Practicing your sales script and how to overcome objections will increase your confidence and decrease the ick. When a potential client is sharing their struggles, stories, and fears, don’t do them the disservice of not sharing your services. Tell them what you can offer, tell them about the value you can provide. If you are a good fit, then the client may be able to come up with the money or the time, to make the relationship work. You do not have the right to decide for them on whether they should act at that moment. If the answer is a no, it’s a no, but give them the chance to make the choice. When you get on that call or you send that email, show up full energy and prepared. Before you get on the call, do your pre-work, review the questionnaire that they should have completed when they booked the call with you. Be present in that call, give them your full attention, and provide them with everything that they need to realize the value and benefit that you can provide to them and for their business. Do NOT show up half-assed and unprepared. Do not waste their time and yours by not being prepared for them. Selling does not have to be a terrible practice. When you know the value of your service, you do your homework, and you show the benefit and the impact that you can make for your future client, then sales transforms into an act of service. You don’t have to be pushy or intrusive when you are explaining your value to that client. Just be sure that you are prepared, you understand the road that you want your audience to walk down with you. You woo them with appropriate offers for the stage that they are in your relationship together. Have your sales script ready and know how to handle objections. Also, know that you can’t go into the conversation with a preconceived idea of what is right or wrong for that client. You just give them information about how you can help them grow in their business. Show up for them, and they will commit to you. Maybe not all the time, but certainly more often than if you simply wing it. 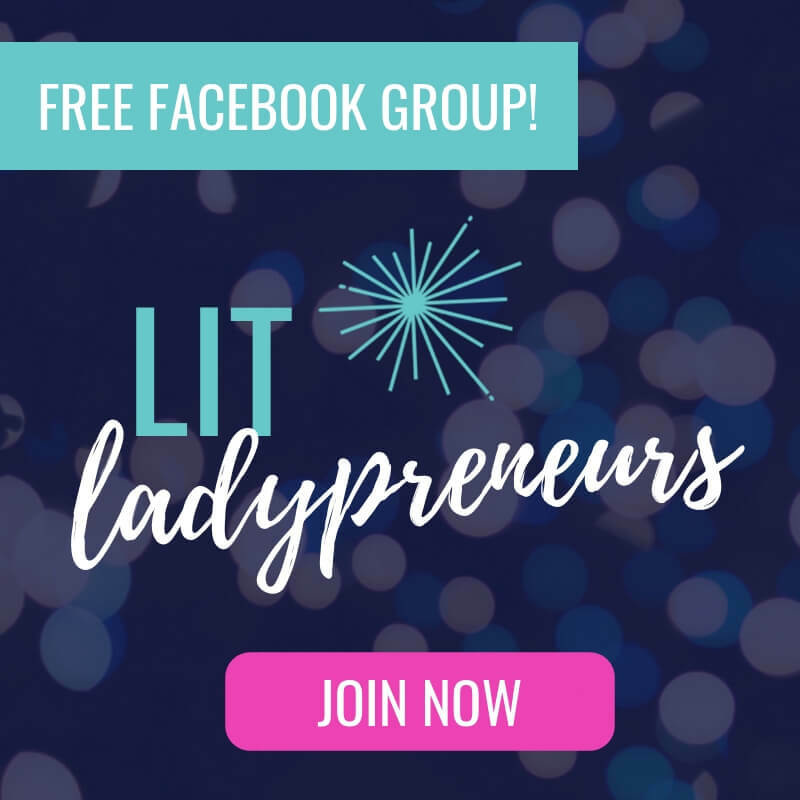 If you want to learn more about taking the ick factor out of sales come join the awesome ladies in the LIT Ladypreneur Facebook group! We’d love to help you perfect your sales skills!